The truth is that I really love cake. Although I love cake, but I have great preference..... I don't like too sugary cakes that's why I often prefer baking my cake so that I can control the amount of sugar going into the cake. Every occasion has different cakes to go for the occasion and it entices me that people usually go for the best cake designs during any special occasions. Anyone can make his or her own cake from the comfort zone of their homes but most people will rather prefer professional touches during occasions and special activities. Apart from such special activities, anyone can make their own cake comfortably by following just a simple cake recipe. 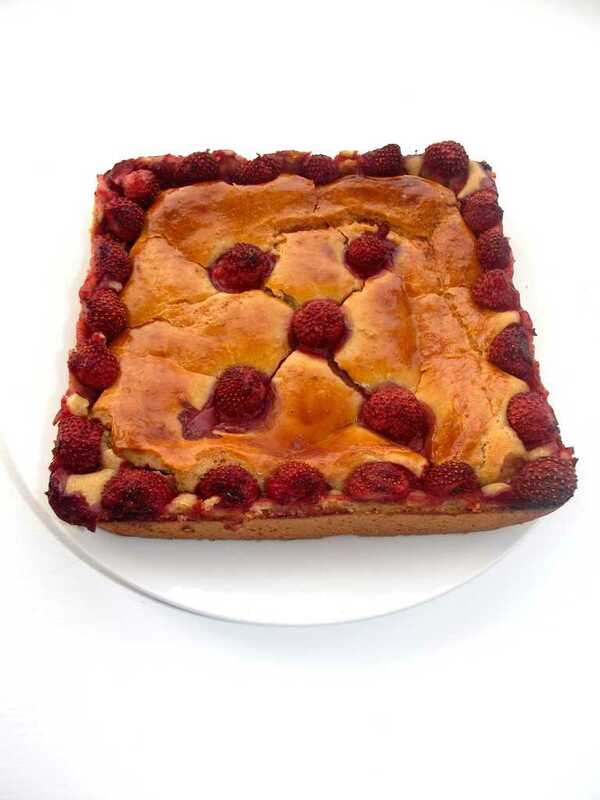 There are various types of cakes ranging from lemon cakes, banana cakes, chocolate cakes, vanilla cake, sponge cake etc however the cake of choice for this recipe is strawberry cake. Strawberry cake is a fascinating invention and whoever invented that strawberries could be topped up and added to cakes deserves an award. Honestly, I love the natural sweety strawberry juice dripping through the cake as it bakes and the aroma these strawberries give to the cake is so appetising. Strawberries are very nutritional and are rich sources of Vitamin C, Iron, Magnesium and calcium. They are very affordable, healthy and delicious. 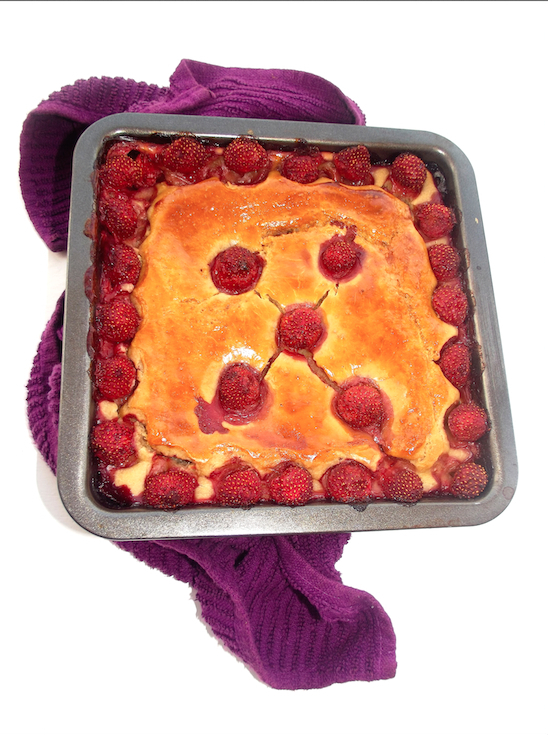 Strawberry cake is one of the amazing cake to bake. It is very delicious, juicy, quick and easy to bake. 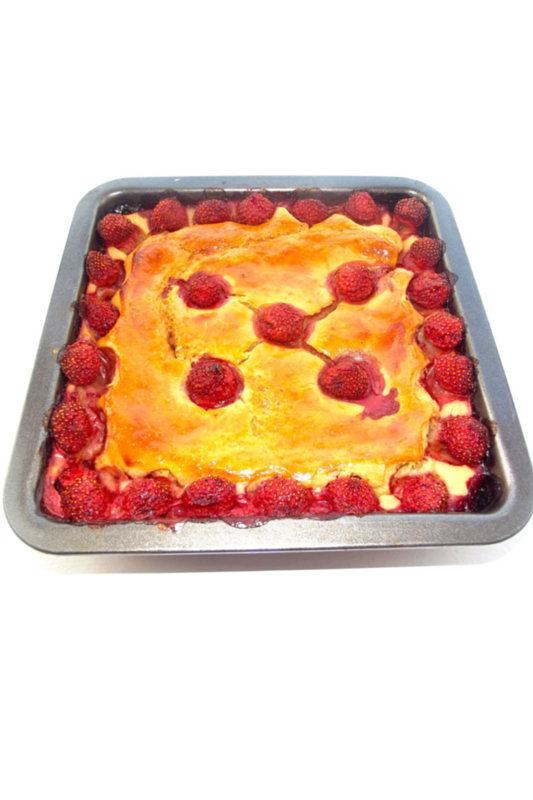 This strawberry cake is very moist, light with spongy texture that often accompanies cakes. Moreover, the strawberries also give a characteristic appetising flavor and moisture which is boosted through the addition of melted butter. The entire ingredients just add up together so well to give such a su--pp--ee--rr tasty cake. 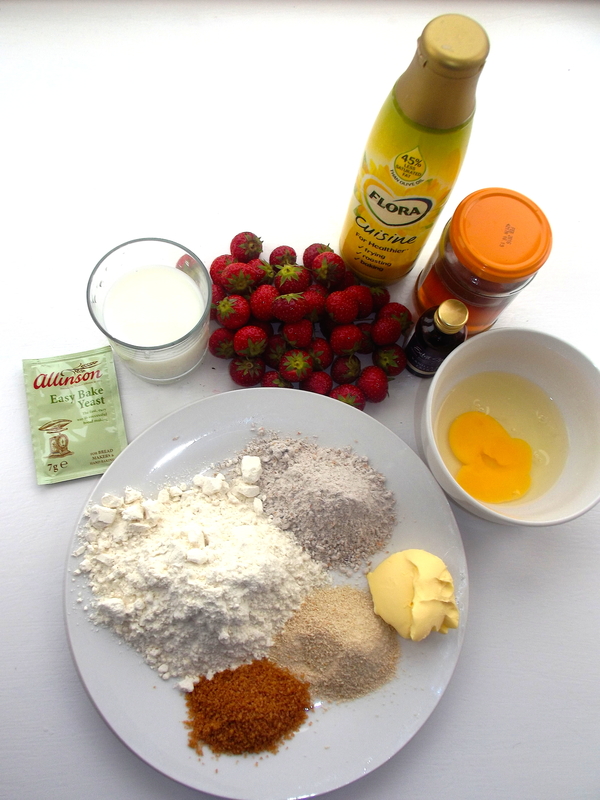 Having said so, I believe you can follow the simple recipe outlined below to brew up the required ingredients for your own homemade strawberry cake. 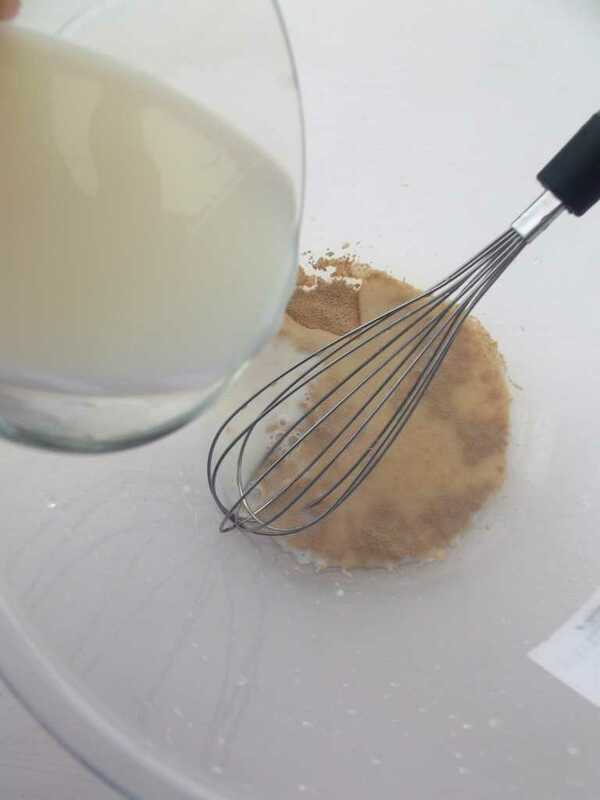 In a clean bowl, sift together the flour, sugar, baking powder, baking soda and salt. In another clean bowl, add the yeast and milk then whisk properly and allow to stand for at least 10 mins to froth. In another clean bowl, whisk together the egg, flora less saturated fat, butter and vanilla. 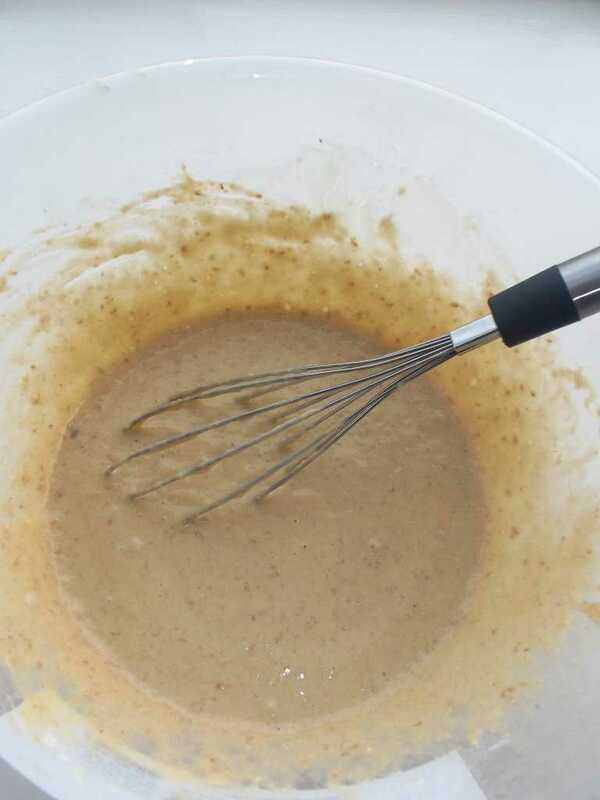 In the centre of the flour mixture, make a well and stir in all the wet ingredients using a spatula until properly mixed and combined. Then place back in the oven for another 20 minutes or until golden brown with the center feeling just done when pierced with a skewer.